Yesterday I attended a fantastic free seminar in London with my good friend and JV partner Vince Audritt. The seminar ‘Think Big Education’ was hosted by Juswant and Sylvia Rai who host the Berkshire Property Meet, which I’m now attending regularly. I learnt some great new stuff which I’m just itching to get out there and implement! There were some great well known speakers, John Lee, Rob Moore and Glenn Armstrong all talking about their strategies and how these strategies had helped them to become property millionaires. What a fantastic quote that is! In my experience this is so true. You are what you ‘think’, so if you think you CAN’T do something, then guess what? You’ll never do it! More about motivation and the ‘Law of Attraction’ in another post. One of the strategies I learnt on the TMA course (Tycoons Mastermind Alliance, run by Parmdeep Vadesha & Hanif Khan) was how to do an ‘Assisted Sale’ (AS). What is an assisted sale? this simply involves as the title states ‘assisting’ someone to sell their property. Read on for more information. Selling a house can be very stressful and some people just don’t want to have to deal with this. 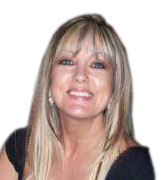 They may not have the time nor the inclination to deal with Estate Agents due to their job or other commitments. The house may have been on the market for a long time and has not sold. They may not have enough funds to pay ‘up front’ fees to Estate Agents/Solicitors. The house may need extensive work before it can be sold which they cannot afford to fund. They may have moved out of the property (or out of the area) or it may be a deceased estate and they don’t want the inconvenience of having to deal with viewings or the legal jargon. They may not be familiar with the whole selling process and just want someone else to take care of it. The seller would have to be ‘motivated’ in some way, meaning he needs a quick sale to help him resolve his problems. One of the ways to ‘find’ motivated sellers is by sending out leaflets, and as a result of my leafletting campaign in June this year I recieved a call from ‘John’ (name changed) who asked me to come and have a chat with him as the bank was threatening to repossess his home. I went to visit John and was there chatting with him for about an hour. It’s very important when speaking to vendors to find out exactly what it is they NEED and want you to help with. The name of this game is not just ‘what’s in it for me’ it’s about giving people achieveable options to help them move on with their lives. People have to be able to trust you and believe you can deliver what you offer so you mustn’t make promises you can’t keep. The house in question was a lovely 2 bed town house in a nice area. John (47) had lived there for 7 years but had lost his job a year ago and just stopped paying the mortgage (a typical ‘I’ll bury my head in the sand and hope it all goes away’ type of guy) he’d previously split with his wife and lived alone. John had also ignored all correspondence from his lender (mortgage provider) and was around 5k in arrears with his payments. 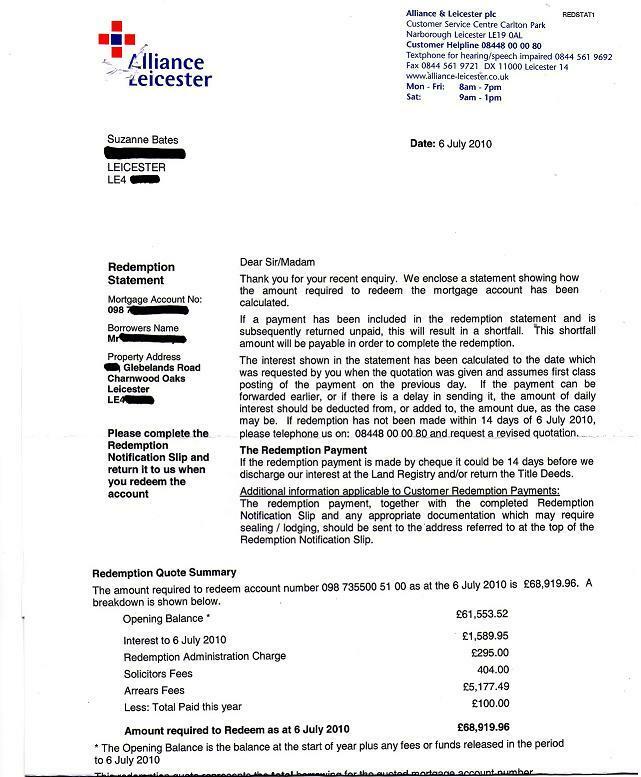 All he wanted to do was pay off his debt to the bank and move on to rented acoomodation but because he’d lost all credibilty with his lender he was now not in a position to do this, theywere fed up with him ignoring their attempts to contact him and had put in for a possession order. The banks don’t repossess people just because they can. They do give ample warnings of missed payments and ask people to inform them if they have problems making the payments so they can come to an agreement whereby the home owner can make payments they can afford. For instance they can have the payments reduced to ‘Interest Only’ for a while until they’re in a position to afford more. However, if people choose to ignore the correspondence and the case goes to court then this is a different matter. When you make an agreement like this you have to have something legal to ‘back it up’ so my solicitor drew up an ‘Option Agreement’ stating everything we’d agreed and John signed it. I then sent a ‘letter of authority’ to his lender on John’s behalf (which he signed) saying that from now on I would be their point of contact and I was a ‘family friend’ helping him to sell his property. The lender (Alliance & Leicester) called me and were happy to talk to me. Amazingly they didn’t want to see any ID etc, all they were concerned about was that the situation was finally being addressed and as John had sufficient equity in the property were happy to give me some time to sell it and repay the debt. All they requested was a £100 token payment for goodwill which I paid immediately. John owed £62,000 on his mortgage and had around £5,000 in arrears. On the open market the property was worth between 100 – 105k in it’s present condition (it needed decorating) so I spoke to an Estate Agent and told them I didn’t want any bullsh*t about what it ‘could’ achieve, I wanted it to sell quickly and wanted the price to reflect that. The house then went on sale for £89,950. There were 4 viewings and after just 6 days I had an offer of £85,000 which I accepted. The couple that had offered on the house were first time buyers and loved it! John actually told me how much he appreciated my help as he’d never have done it alone, he’d have lost the house and would’ve still had a massive £69k debt over his head. This way his debt was paid off and he had some money in his pocket as well. This was a ‘win win’ situation which is what we must strive for to ensure that not only are WE better off, but the vendor is too. They guy was infuriating at times, I had to constantly ‘chase him’ to sign all the paperwork. I once even picked him up from the pub, took him home and got the documents signed then took him back to the pub lol. Still. we became friends and he told me about his life and I jokingly ‘told him off’ for getting into that mess in the first place and gave him a copy of ‘Rich Dad, Poor Dad’ to read to ‘motivate’ himself! 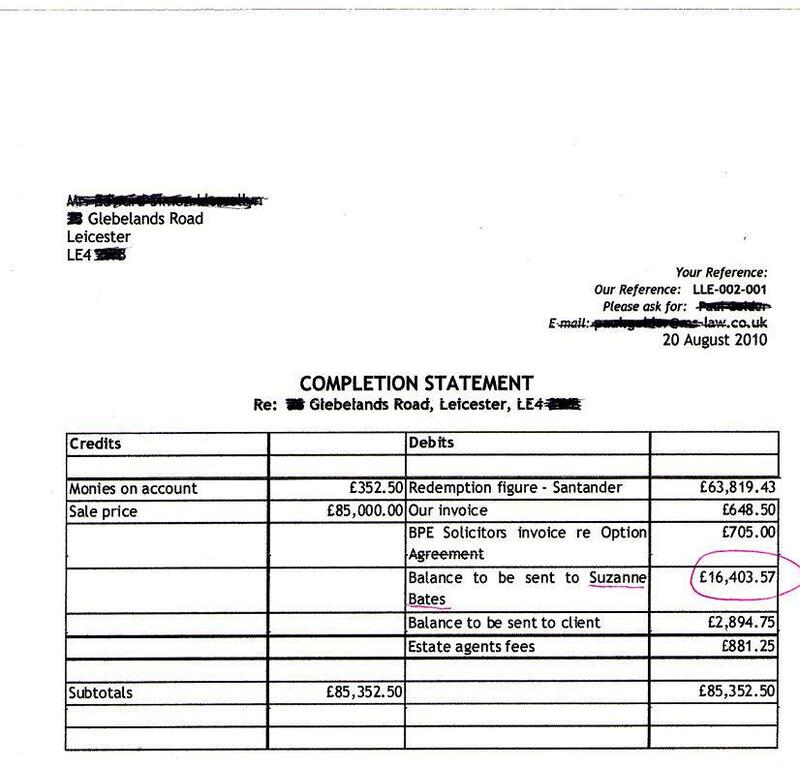 After paying all the legal costs for myself and John and the Estate Agents commission (total around 4k) I was left with over £12,000 profit. Not bad for a few weeks work! How did I do it using none of my own money? Obviously there are ‘upfront fees’ that needed paying like my solicitors fees, the £100 token payment to the bank etc. So what I did was take out a zero percent credit card, pay all the upfront fees with that then when the money was credited to my account after completion I just paid off the credit card in full with no interest to pay. Easy! Although John was happy with everything I felt a pang of guilt that I could’ve offered him a bigger percentage of the profit so afterwards I actually sent him a cheque for £500 and offered to pay for his ticket to the ‘Download Festival’ next year (he’s a big fan and goes every year but hadn’t been able to attend this year due to losing his job) which he called me to thank me for. And I WILL remember to buy him a ticket! What if the house hadn’t sold with the estate agent? As there was plenty of equity I’d have sold it on cheaply to another investor for a ‘finders fee’. So there was really no great ‘risk’ to myself but you know how the saying goes ‘Nothing Ventured, Nothing Gained’ and I’m a great believer in this…………or I wouldn’t have got this far! The point of this is not to brag about how well I’ve done but to make people realise that it’s not that difficult, because if I can do it then so can anyone else. I’m currently in the process of another ‘Assisted Sale’ but will talk about that when it’s completed. See, I said ‘when’ not ‘if’ because I’m a great optimist lol. Where there’s a will there’s always a way! Previous Where Do I Start As A New Investor? Next Good things come to those who wait…or do they?